KROSS 2, the long-awaited successor of the KROSS, is a compact, portable workstation with a huge range of sounds. While maintaining its identity as ultra-lightweight, compact, and capable of running on batteries, this new model dramatically enhances KROSS’s sounds and functionality. In addition to a total of more than a thousand preset sounds, expansion PCM memory has been newly added. Also new is a pad sampler that allows full-fledged sampling, and USB audio/MIDI interface functionality. The color scheme is even more stylish, and the user interface allows intuitive operation even by beginners. Effortlessly select the sound that you want to play, shape it to match your imagination, sample a sound, create phrases and rhythms, record your vocal or guitar, bring KROSS 2 on stage, and perform. Whatever you artistic vision, you can make it happen. 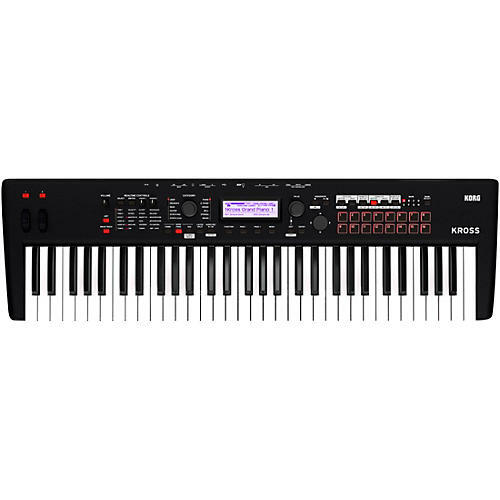 KROSS 2 is a versatile synthesizer platform made with creative freedom in mind.